The Traditions Linens team gathered together as a group just after Thanksgiving to take part in the #GIVINGTUESDAY initiative. Together, we decided to join forces with a charitable organization who would help bring warmth to people in need during the holiday season! 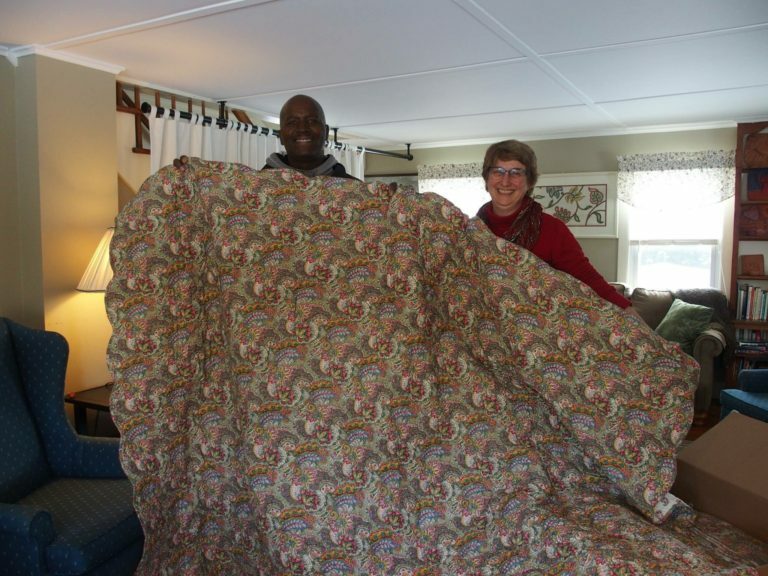 Our specific goal was to see our donation reach women and children who were most likely to appreciate the warmth of a bright and cheerful quilt. With the help of our partners at ESME, we identified 5 charitable organizations that work directly with women and children in need. It was important for us to reach women who were getting back on their feet and making difficult choices to work hard and improve their lives. These reputable organizations have professionals on the ground helping women and children every single day. Being able to work together with them is such a special moment in time for all of us. ESME (Empowering Solo Moms Everywhere) is a social platform dedicated to Solo Moms who face the challenge of solo parenting in a society that provides little help or guidance. Mothers on their own, whether by choice or circumstance, parent approximately 22 million American children. Moving beyond stereotypes, ESME offers Solo Moms inspiration, resources, allies, opportunities for creative expression, and some laughs along the way. 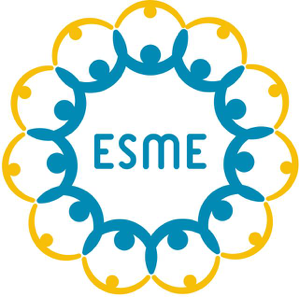 ESME empowers a broad demographic of women who, despite differences in age, race, culture, and the route to single motherhood, are bound together in a conscious coalition that is strong, proud and dedicated to their children. The Center for Law and Social Work's (CLSW) mission is to create, preserve, and protect families. CLSW believes all families, regardless of financial circumstances, should have equal access to legal and social work services in order to remain stable and secure. Lawyers and Social Workers work together to help families in Cook County, IL with adoption, guardianship, legal back up planning, and clinical services for children and disabled adults. The WSS is a nonprofit domestic violence agency serving Northwest Connecticut and the surrounding communities in New York and Massachusetts. The mission of WSS is to create a community free of domestic violence and abuse through intervention, prevention, and education. The agency offers free, confidential, client-centered services focused on safety, support, advocacy, and community outreach. HOW's mission is to empower women, children and families to break the cycle of poverty and homelessness. "HOW's core values and guiding principles inform our directions and goals. At HOW, we believe in permanent solutions to homelessness. We believe that housing is a right not a privilege. We believe that all individuals should be treated respectfully, honestly and ethically. We believe in empowering clients' autonomy and self-sufficiency by focusing on their unique strengths. We are committed to social and economic justice that ensures access to needed services, resources and equal opportunities. We strive to promote capacity, sustainability, and provide innovative and effective services for individuals, families, and communities." One Heart for Women and Children aims to support women and children in Central Florida as they face hardship and adversity. One Heart for Women and Children is able to provide support in the form of clothes, school supplies, and personal-hygiene items, as well as education and prevention services. These services include life skills, parenting classes, youth education, and drug- and alcohol-prevention outreach. One Heart for Women and Children is dedicated to—and successful at—connecting caring community members to those in need.